Look at the stars : for piano / Ann Carr-Boyd. 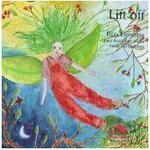 Lift off : Elpis Liossatos plays Australian piano music for children. 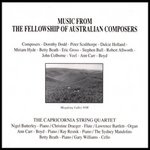 Masques / [music of Colin Brumby & other Australian composers]. Morning by an ocean : music of Australian composers. 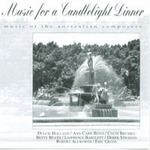 Music for a candlelight dinner : music of Australian composers. 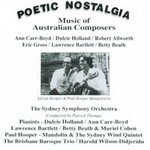 Poetic nostalgia : music of Australian composers. 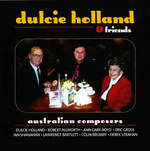 Splendour of the past : music of Australian composers. 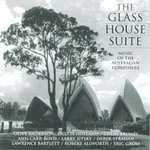 The glasshouse suite : music of Australian composers. 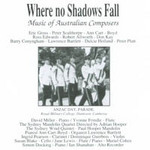 Where no shadows fall : music of Australian composers. 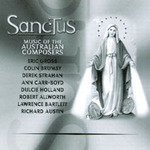 Music from the Fellowship of Australian Composers. Difficulty: Medium — Grade 4 to 8. Contents note: 1. Pluto -- 2. Mars -- 3. The sun -- 4. Mercury -- 5. Pulsar -- 6. Spiral galaxy -- 7. Earth -- 8. Sombrero nebula -- 9. Phoebe -- 10. Fiji moon -- 11. Stefan's quintet -- 12. Quasar Pks 2142-75 -- 13. Star clusters -- 14. Saturn.